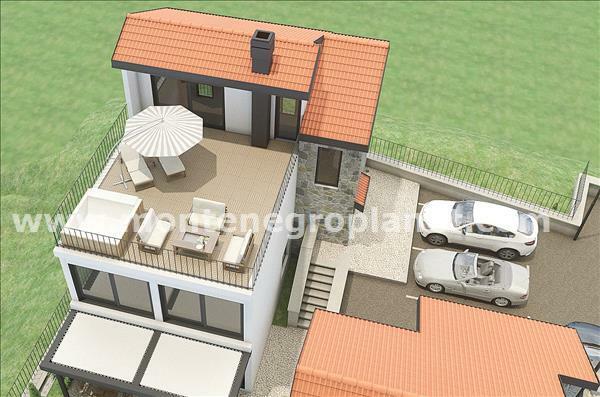 Villa has a panoramic view of the Adriatic Sea and Porto Montenegro and is located in Tivat. 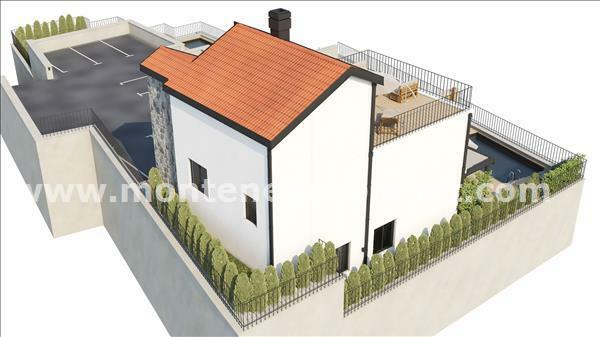 It is designed in Mediterranean style and is surrounded by lush greenery. It consists from the main Villa and Guest house. 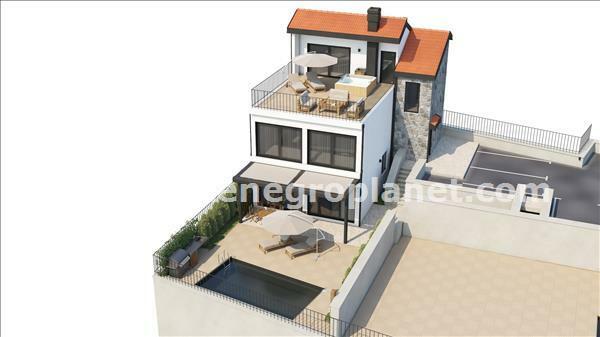 This 3 storey villa has 273 meters and is situated on the land which has 287 meters in total. 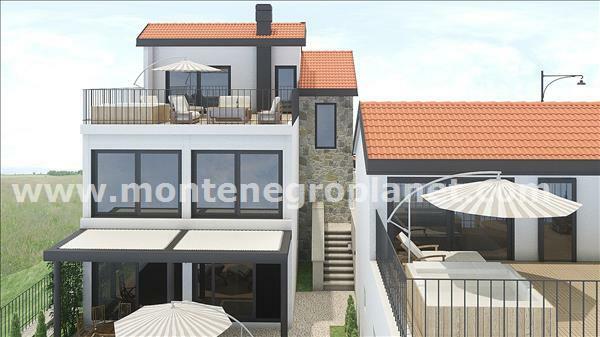 It has a swimming pool size 29 m2, relaxation area with a summer kitchen (BBQ), 3 parking spaces and panoramic views of Tivat Bay and Porto Montenegro. Ground floor consists from a living room, kitchen combined with a dining room, bedroom, corridor, 2 bathrooms and a utility room. First floor consists from 2 bedrooms with ensuite bathrooms and dressing rooms. Second floor consists from bedroom, bathroom and large terrace with panoramic views over the Bay, Porto Montenegro and town. 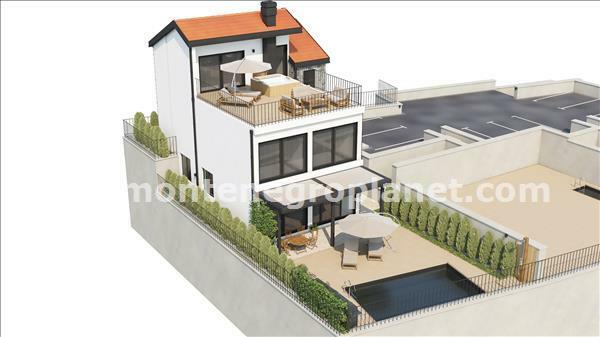 Villa has its own stand with a swimming pool and a relaxation area. Complex is equipped with a gate and a modern video surveillance system that is connected to a 24-hour security guard. It also has a parking for 3 cars with a driveway which leads to the entrance to the complex. It is connected to the city water, sewage and electricity. The complex is only a 5-minute drive away from Porto Montenegro and Tivat seafront with beaches, cafes, restaurants, bakeries, supermarkets, boutiques, kindergartens and schools. 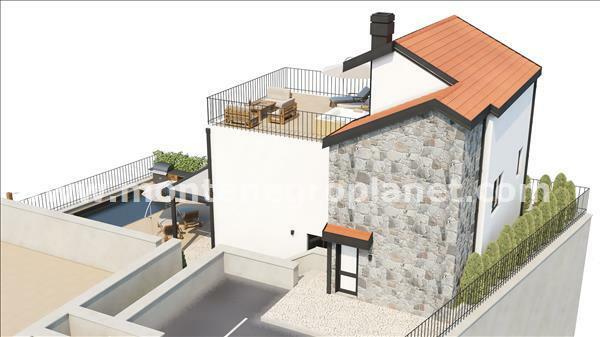 It is located 500 m from the city centre and only 4 km - from the international Tivat airport. For the convenience and comfort of the homeowners and guests, a property management company will manage the villas. The company will take care of the cleaning and the maintenance of the property and rent out the villas if requested to do so. The company will offer a full range of services, from furnishing the villa to preparing and renting it. Villa is constructed with using modern environmentally friendly materials from manufacturers of well-known European brands. Natural materials are used in the décor of the buildings. The living rooms and bedrooms have wooden floors. The exterior walls of the buildings are partially decorated with natural stone and modern thermal insulation. Bathrooms are fully equipped and have heated floors. Villa is equipped with air conditioning and a hot water supply system using solar panels. Lot of care is taken with the architecture of the buildings to ensure panoramic views from the windows that are constructed with alumil 350 and 700 and use a tilting and sliding system. 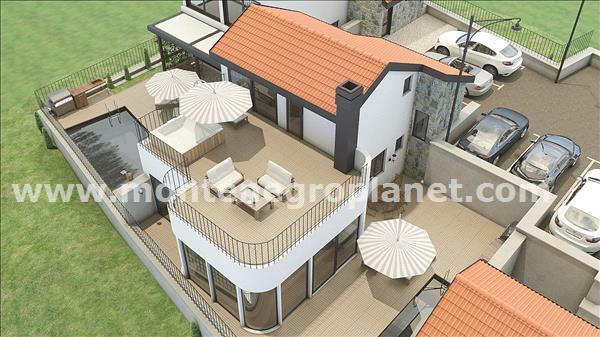 The interior of the villa will be decorated, and the furnishing can be tailored to the owners' preferences.